It was in the town of Preston, England that the defender was born on 21st February, 1992. He holds an English nationality. His ethnicity is White. He was born to Mark Jones and Helen Jones, his father and mother. His full name is Philip Anthony Jones. 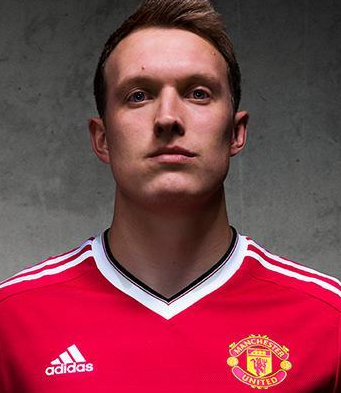 He is popularly known as Phil Jones. He was born and raised in Preston, city of England. His Zodiac sign is Pisces. He went to Balshaw’s CE High School in Leyland. He had very keen interest in the field of sports. He also played for the Ribble Wanderers under-10 team. In 2002, Jones joined Blackburn Rovers Youth Team. He started his senior career with this club in 2009/2010 premier League season in which he agrees a two year professional contract. On 22nd September, he made his first team debut for this club after starting the league cup match against Nottingham Forest with the victory of 1-0 score. Then, he was transferred to the English Club, Manchester United at the end of 2011 for a fee of $23.05 million. He made his debut for this club against Manchester City. On 3rd December, he kicked his first goal in the senior level against Aston villa with the winning score of 1-0. Then he agreed to a new four year contract with the current club, Manchester United on July 1, 2015. 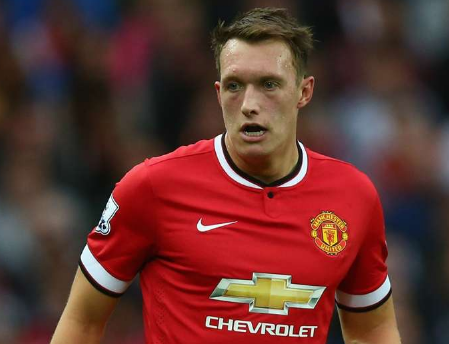 Jones represented England at the U19 and U21 levels and now he is the member of English Senior squad. On 17th November, 2009 he made his debut for the England under-19 team with the victry of 3-1 score over Turkey. In under-19 team, he appeared three times. He was named to the England under-21 squad on 4th August, 2010. He won his first under-21 cap on 10th august against Uzbekistan. For the 2011 UEFA European Under-21 championship, he was selected in Denmark and also made him captain in the match against Czech Republic. He was also enlisted in the England senior team against netherland and also in the UEFA Euro 2012 squad. In 2014 FIFA world cup, he was named in England's 23man squad. He was also given a tournament debut as a starter in the final group match in a 0-0 draw with Costa Rica. His name was also presented in the 23 man England national team squad for the 2018 FIFA World cup Russia. He played 1 match without any goal. Phil Jones is a married man. He married Kayla Hall at the local church in Cheshire who is also his longtime partner. He is very successful in his personal life as well as his professional life. He is fond of travelling and his favorite holiday vacations are Los Angeles, Dubai, Sydney and do on. His height is 1.82 m and weight of 157 lbs. The salary from his current club is 50,000 Pound a week. His current estimated net worth is $6 Million.